While we wait for Nokia to announce its flagship Android smartphone, a new rumor has popped up talking about another two upcoming devices from the Finnish company that's behind the brand. For now we'll call these Nokia 7 and Nokia 8, but apparently the retail names aren't finalized, so they could end up with different monikers. 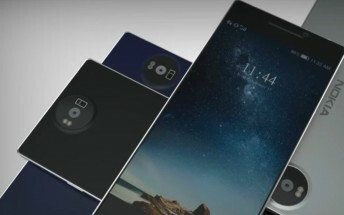 Also keep in mind that the Nokia 8 has long been rumored to be that much-anticipated top of the line handset. If the following pans out, though, then perhaps the Snapdragon 835-powered phone will actually be called Nokia 9. The Nokia 8 and Nokia 7 are both said to come with the still unofficial Snapdragon 660, the expected successor to the Snapdragon 653 (and 652 before that). The 8 will come with a bigger screen and QHD resolution, while the smaller 7 will have to make do with 1080p. Both will feature very thin bezels, and a new metal unibody design. The design of the camera and the back will be different from what we've seen so far in the Nokia 3, 5, and 6. The 7 and 8 will have fingerprint scanners, fast charging, and bigger camera sensors compared to the 3, 5, and 6. What's more, the Nokia 8 could even have Zeiss optics. It's unclear when we should expect this duo to hit the streets, but perhaps the 7, 8, and 9 will all be announced at the same time in May or June.